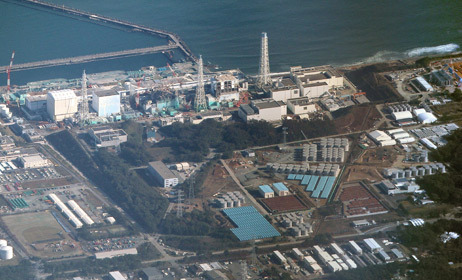 Since the initial disaster TEPCO has been injecting water into the damaged reactors at Fukushima Daiichi. Questions around the long term effectiveness of this approach have been discussed off and on since the initial disaster. TEPCO has gradually reduced water injection, using temperature fluctuations to determine the minimum amount of water needed for their metrics of stability. Injected water contributes to the ongoing water storage woes at the site, the need to filter contaminated water and contaminated water leaks to the environment. In January TEPCO will reduce water injection at unit 2 by half, then bring injection levels back up. In March they will stop all water injection at unit 2 for 7 hours while monitoring for changes. TEPCO cites that they will abandon the injection stoppage at unit 2 if the temperature readings increase by 15 degrees. 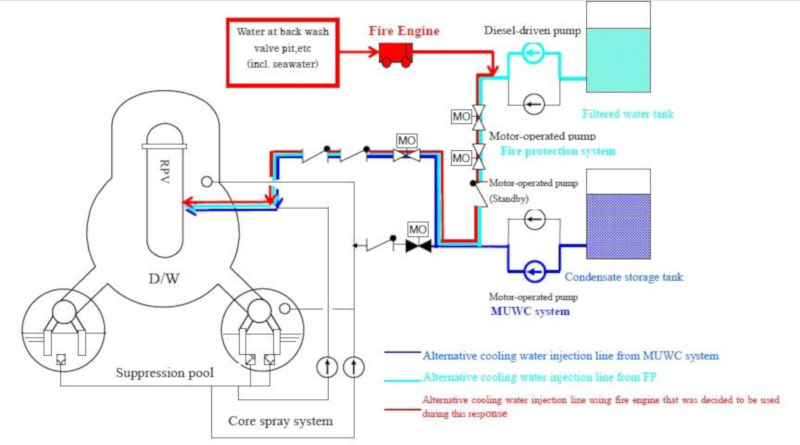 Water injection is touted as a means to keep the melted fuel cooled. It also helps keep microparticles and radioactive substances from being released from the reactor containments. Each of the damaged reactors has an improvised negative pressure system that attempts to prevent further particulate releases by keeping the pressure inside containment low. This system also runs the extracted air through a bank of HEPA filters intended to trap airborne radioactive particulates. The water injection reductions will also test the effectiveness of these systems although TEPCO doesn’t specifically mention this. The melted fuel has been sitting for 7 years. Spent fuel requires storage in a cooling pool for 5 years before it can be stored in dry casks. The heat generated in the melted fuel at this point may be low enough to reduce cooling efforts. Other data to look at as cooling reductions are attempted would be the generation of hydrogen or radioactive xenon indicative of ongoing spontaneous fission in the melted fuel. Currently unit 1 still shows some low levels of radioactive xenon production. TEPCO cites wanting to know what would happen if emergency cooling was lost as the reason to run these tests. 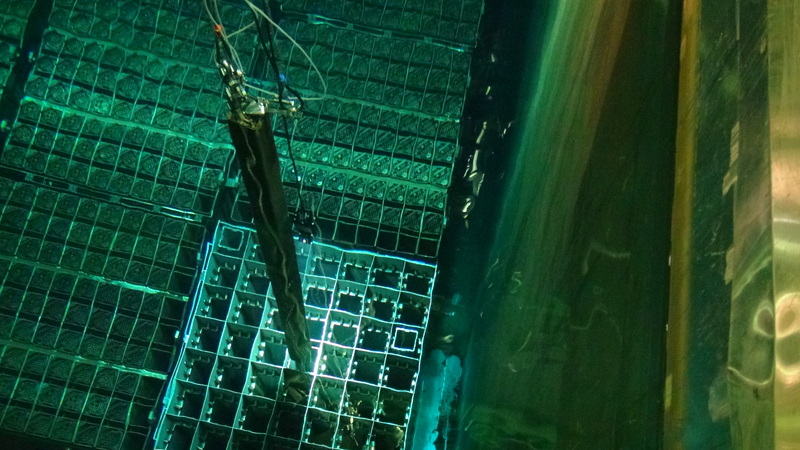 Understanding if the reactors could remain stable without water injection may also play a role in the planned fuel removal work scheduled in future years. Water injection could create problems for the “dry” fuel removal work under development.